Autoplay is quite awe feature in Windows. It will choose which program to open different media. However, sometimes, it can be annoying. Why? At the middle of work, when you insert CD or Flashdisk, if not properly configured, it will popup and certainly lags the system. In order to fully utilize and optimize this, we, usually need to use program or set another light software to open. 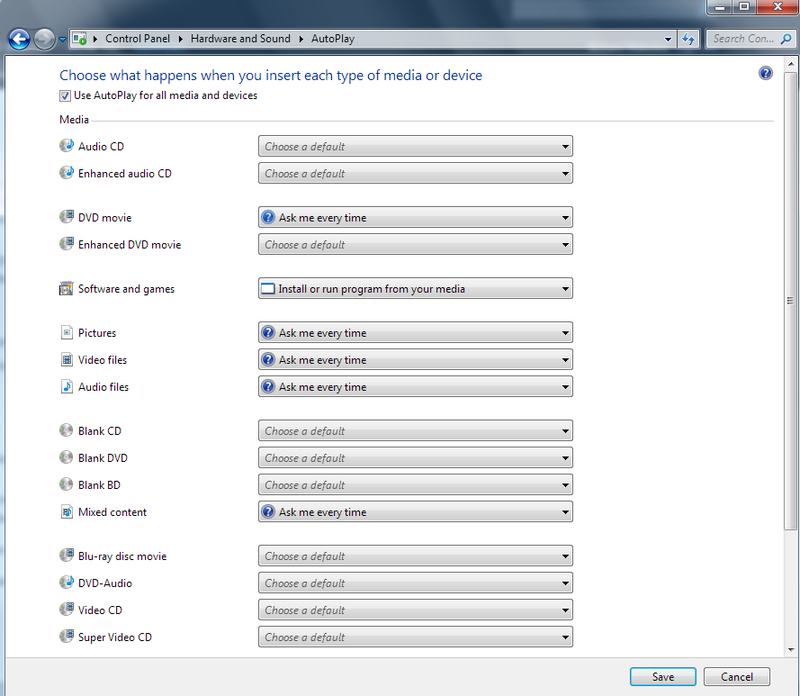 Here, we will be sharing quite simple procedure on how to set autoplay on Program To Use Media. 5. Under Media, choose what type of media you want to change. 6. choose Type of Action whenever you insert media. TIP: If you want to disable this feature, just uncheck use AutoPlay for all media and devices. Additional: For those people find annoying with Adobe Lightroom whenever it plugs flashdrive, you can set Pictures, and Mixed content to Ask Me Everytime so that it will not open lightroom.